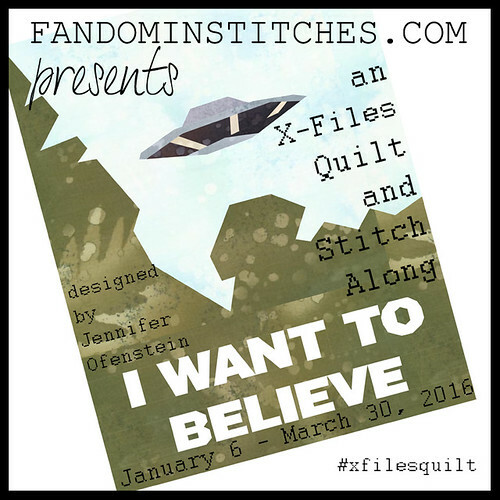 It’s been a while since I posted updates on my X-Files quilt, but I realised that I hadn’t ever shared the poster block. I have stuck with solid colours for the picture and white lettering. I’m really pleased with how this one turned out! I always love the blocks, especially the Sci Fi ones, but I’m not a paper-piecer. Your block looks fabulous!